I like scientific evidence. I think that much will have become clear to any regular readers that I have. But what may also have become apparent is that it’s not simple. Experiments and studies rarely give us definite black or white answers that apply to everyone. Biology is full of squishy things that just don’t work like that. I read a really interesting blog post recently by midwife Sheena Byrom who is fighting to improve maternity services and calling for better use of evidence in making decisions. I am all for that, but I don’t agree with everything she said in her blog. So, rather than continue high-jacking her comments section, I decided to write my own post here. The evidence in question is the Birth Place Study. This looked at a large group of pregnant women and where they planned to give birth (hospital, home, birthing centre). It then compared various outcomes of those births. The headline finding was good news – giving birth in the UK is very safe, wherever the mother chooses. But there is a slightly increased risk of harm to the baby for first time mums selecting home births. Note: The difference was only seen in low risk first time mothers. Therefore this post deals exclusively with this group. In addition, it was a UK study so the findings may not be applicable to other countries. The Birth Place Study showed that for every 1000 planned home births, there would be 4 additional “primary outcomes” (I’ll explain primary outcomes more in a minute, but they are a collection of bad things that can happen to a baby during birth). Byrom argues that this is a “small number”, but that women are often only told that there in an “increased risk” and not given that number. She is also concerned that women aren’t informed of the increased likelihood of interventions for those giving birth in hospital (such as instrumental delivery, emergency C-section etc) Therefore, she concludes that many women are unfairly scared away from out of hospital birth, and maternity services should be working to enable or perhaps encourage, far more first time mums to give birth out of hospital, to avoid all these “unnecessary” interventions. It’s a perfectly valid interpretation of the evidence but it’s not the only one. Many of these “primary outcomes” are very serious. Therefore you could also argue that avoiding them is so important that the risk of extra interventions, although they are unpleasant and sometimes dangerous themselves, is a price worth paying. So should we be working to get all first time Mums having home births or hospital? What is worse – a small risk of a major outcome for the baby or a larger risk of an intervention for the mother which could also have negative consequences? Can even a large and well conducted study answer this question? 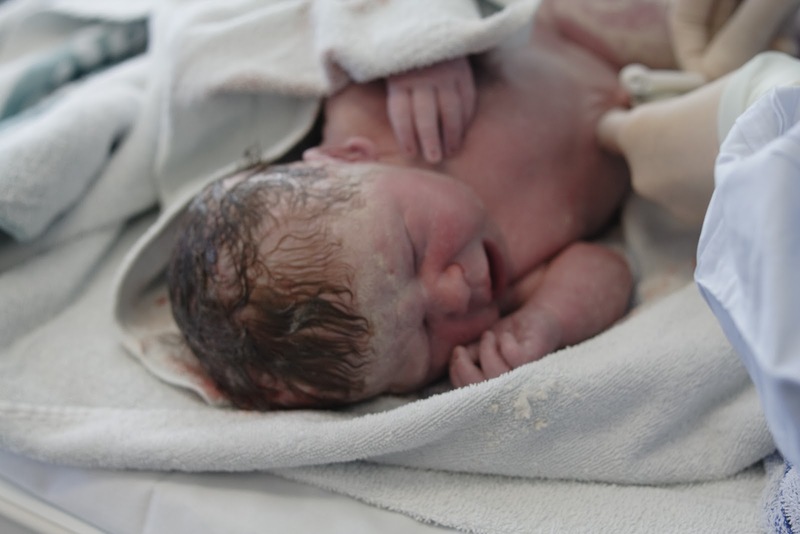 What we need to know is – how much does home birth increase the risk of “primary outcomes”, how much does hospital birth increase the risk of interventions and just how bad are all these outcomes and interventions anyway? The information is all out there, but I’ve not yet seen it presented clearly, all in one place. Evaluating the risk – How likely is it that something negative will happen? How Bad Are those negative outcomes? The study looked at how many babies suffered what they called “primary outcomes”. I’ve listed the outcomes they included in this below. The number in brackets is what percentage of the total number of primary outcomes each represents, eg. 30% of primary outcomes were meconium aspiration syndrome. Fractures to the humerus or clavicle -upper arm and collar bone (4%). The small number of deaths are, undoubtedly, a tragedy. Any damage to the lungs, nerves or brain are very serious outcomes, although they may not always result in life long problems. Bone fractures, are very unpleasant but probably won’t cause lasting issues. So there is a considerable variation in how bad the outcomes actually are within this group. Thankfully they are all very rare, but this means the study authors can’t give the figure for each individual outcome for each group. There just wouldn’t be enough events to get a reliable number. At the very least, all the interventions listed above can be unpleasant. They can cause increased pain or limit a woman’s mobility during labour. Some can increase the likelihood of further interventions, for example, epidurals are associated with more instrumental (forceps and ventouse) deliveries. In rare cases there can be serious and long term effects. To try to stop this post getting too long I won’t go into the pros and cons of each intervention but this information should be made available to women trying to make this decision. It is also worth noting that not all women will want to avoid all the interventions above. For example, some may choose hospital birth specifically so that they have access to an epidural for pain relief. This study grouped women by where they planned to give birth, not where the baby was was actually delivered. For first time mothers, 45% of those who wanted a home birth ended up being transferred to hospital. This is a very large number so women considering a home birth should also be aware of it. I’m really not in the business of worrying anyone here, the biggest finding of this study was that women in the UK don’t need to fear giving birth. Clearly, the increased risk associated with home birth for a first time mother is low. The risk of having some kind of intervention is much higher. This is true wherever a woman plans to give birth, but especially for planned hospital births. Personally I was actually surprised that the increase in interventions wasn’t even higher in hospital. I’ve often heard advocates of home birth state that unnecessary interventions are very common in hospital so I had assumed the difference would be many fold. But from this data, the biggest increase is a doubling in the likelihood of a ventouse delivery. The other interventions are slightly less than double, which is about the same as the increased risk of primary outcomes for home birth. That said, these are relative risks. The absolute risk of ventouse delivery increases from 60/1000 to 120/1000 for home and hospital respectively. Primary outcomes are rarer, increasing from 5.3/1000 for hospital to 9.3/1000 for home. Having seen all these figures, I still don’t think there is a clear cut correct answer. Once again, biology is squishy and what is right for one person may not be for the next. Overall the risk of serious, long term harm is very low wherever a woman chooses to give birth. So it comes down to each woman’s interpretation of the remaining risks. This is personal and complex, depending on her individual history, her specific situation, and to a great extent her beliefs and emotions. No one can or should answer this question for her. So I wholeheartedly agree with Byrom that women should be given the information they need to make informed choices and that evidence should be used to shape maternity services. But I worry that the only people advocating this are those who want to see more home births or “normal” births. If there are women who want these options and, against the evidence, are being denied them then I absolutely support that fight. However, if the campaign is truly about maternal choice and using evidence, then shouldn’t these advocates also be cheering on those women who feel safest and most comfortable giving birth in hospital? Who make a rational decision that they want an epidural, or even a C-section? With modern techniques these options could also be considered low risk and I don’t believe that there is anything inherently wrong in women wanting to make use of modern science and medicine. Also, rather than just giving up on hospital birth and heading home to avoid the interventions, shouldn’t we be asking why there are more interventions in hospital? How many are genuinely unwanted or unnecessary and what can be done about that? *09/04/14 – Correction. I originally stated that the BMJ paper only gave the intervention risks for all women and not for first time mothers only. Thank you to Jennifer Hollowell from the Birth Place Study team who pointed out that this information was given in the supplemental online material. I’ve amended the relevant paragraph accordingly. What I haven’t covered here is the third choice in the birth place study, midwife led units. These can either be stand alone centres or alongside obstetric units and, from the Birth Place Study, seem to offer the best of both worlds. The primary outcome levels are the same as for hospitals but the intervention rates are more similar to home births. Sadly it’s not an option available to many women. I’d love to see more of these units but I suspect health authorities are unwilling to spend money on setting them up when the loudest calls are for home birth, which requires no major capital outlay. Thanks SB (we share same initials!) for interesting interpretation of the evidence. It's great that we can have this debate. I really just want to clarify something to start with-I completely agree with you that choice is choice, and if women are requesting C-secition, epidural and hospital birth then their preferences are as important. The whole point of my post was to highlight the fact that we (HCPs ) haven't been in a position until BP study was published, to give women as much information around the potential implications of their choice. We how have data to inform, but we don't use it. For example, a woman choosing home birth has a risk assessment, but we never do that for women who decide to have their baby in hospital. The increased risk of unnecessary intervention isn't usually articulated, and that's we need to change. So my conclusion is that you and I are saying the same thing. It could be suggested that your view is clouded by your own experience-and that's perfectly understandable. My view is too; I have witnessed over four decades the rise in intervention rates, no corresponding improvement in health outcomes for mother or baby, and increasing fear amongst pregnant women, midwives and obstetricians. Hi Sheena, thanks for taking the time to read my post and respond to it. I very much hope that we are on the same side, and I actually agree with you on many things. Now that we have the data it should absolutely be used it to inform women. That's why I think it is vital to make the data for intervention rates available too, which at the moment it doesn't seem to be. I don't really understand why that is. Out of interest – do you have a reference for the health outcomes for mother and baby v intervention rate? The only data I've found shows improving outcomes with time but I suspect very little (possibly none) of this is due to increased interventions as there have been so many improvements in other areas over that time. My views are of course influenced by my own experiences, as I noted in a previous comment on your blog. Personally I have heard far more about the risks of hospital and the benefits of “normal”/natural/home birth than vice-versa. This may well not be representative of all women, but I am certainly not alone. However, I have tried in this post to at least give the figures in as unbiased a manner as I can. I hope that will be helpful to some people. 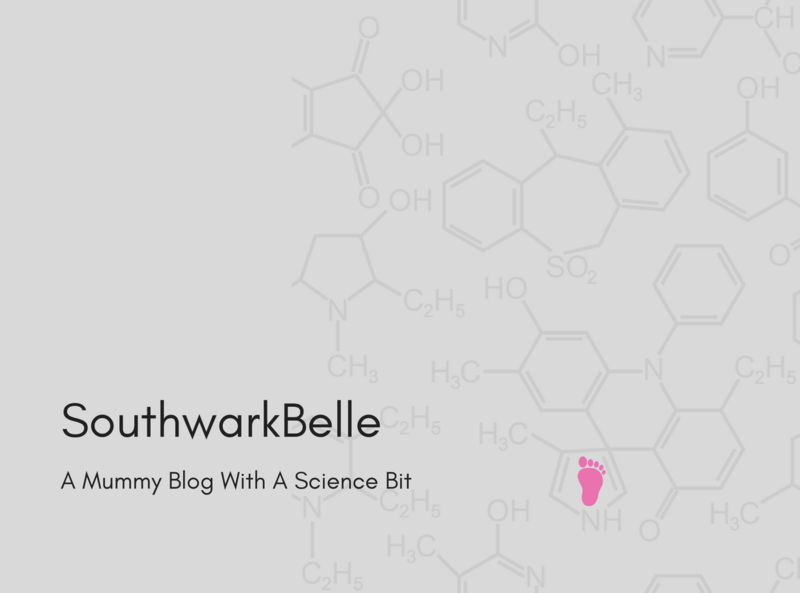 Hi Southwarkbelle! Great post, glad you found the summary of Birthplace on the Which? Birth Choice website http://www.which.co.uk/birth-choice useful. The data about outcomes by first time/second+ time mothers came from published information in the supplementary tables of the BMJ paper, and there was no sight of any primary data. I think that you, me and Sheena are all in agreement that women having a first baby should have the option of having a home birth, but should be given all the information they need to make that decision, personally balancing their own views of risks and benefits. You say that midwife-led units are largely unavailable to women and health authorities are unwilling to set them up. 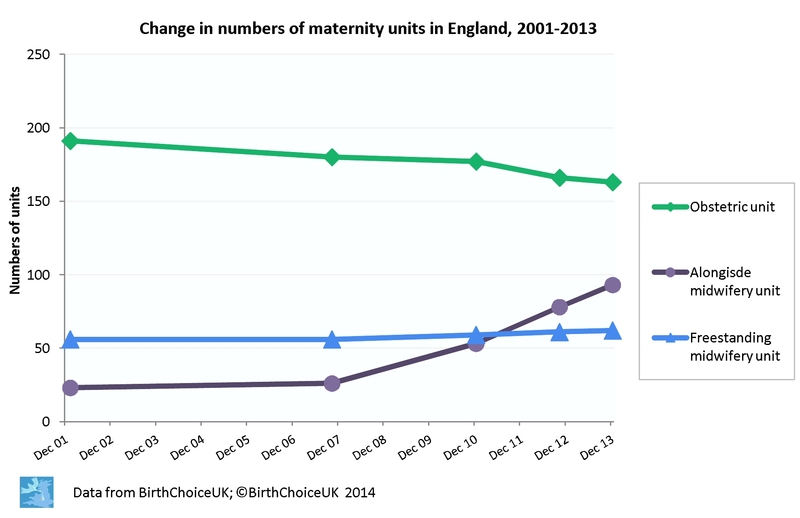 I think that the evidence contradicts this – there has been a big rise in number (and also the size) of midwife-led units since 2007 when government policy Maternity Matters was published (see http://ripetomato2uk.files.wordpress.com/2014/02/changeinnumbers.jpg). Personally I'm not sure that the loudest calls are for home birth, but much more for low risk women to have access to settings other than obstetric units, following the publication of the Birthplace study. I think our use of language hasn't helped here as we often inaccurately refer to obstetric units as 'hospital', leading to a potential misintepretation of 'out-of-hospital births' as only meaning home birth, when we usually include midwife-led units as 'out-of-hospital' too. I agree that women should be supported in whatever choice they feel is right for them. The Which? Birth Choice interactive tool (http://www.which.co.uk/birth-choice/find-and-compare) takes into account women's preferences about birth (do they want to give birth in a clinical setting? do they want an epidural?) to suggest the best place for them to give birth and then gives them personalised statistics (eg for low risk, first time mothers) on which to base their decisions. Questions are definitely being asked about why interventions are higher for low risk women in obstetric units than in midwife-led settings. It may be do with patterns of care, and the increased likelihood of getting continuity of midwife-led care if you plan birth at home or in an MLU. Research evidence shows that this type of care improves outcomes for women and babies (http://summaries.cochrane.org/CD004667/midwife-led-continuity-models-versus-other-models-of-care-for-childbearing-women). Your blog raises lots of interesting questions for us all – about how we present information to women, where research needs to focused and how we support all women to have the birth they want. Thanks for inviting me to comment! I've not fully explored the Which? Birth Choice website yet but it looks very useful. I think it's important that the intervention data is made more widely available and your site is the first place I've found that is doing this. Since the publication of the study I've read a lot of articles using the same 4/1000 figure for increased risk with homebirth to both evangelise and condemn homebirth. If the risk of interventions is mentioned at all it's just stated that it's “much higher” in obstetric units. But without giving the numbers for this it's impossible for women to judge just how much higher and, crucially, what that means to them. Thank you for the information on the increasing number of midwife led units, that is great news (although the link isn't working for me). I was lucky enough to be able to choose one (alongside) for my first daughter's birth, I wanted a natural birth but felt reassured that full medical help was down the corridor just in case. So it was the best possible option for me.I would have liked to include more information on this option in the post but it was already getting rather long! perhaps another time. I also agree that the model of care for homebirths is often better. But I worry that some women feel they have to choose home birth because it is the only way to get good, consistent, and even safe, care. I say this mostly from personal experience having had a far better time with a caseload team for my second child, especially in the post natal period. I strongly believe that all women should have continuity of care, including, or perhaps especially, those who would not be able to have a homebirth anyway.